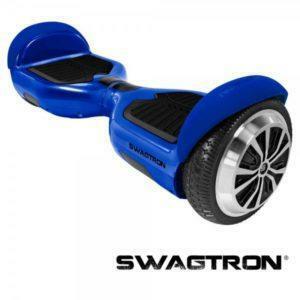 Officially released on 31st May 2016, the manufacturer called the SwagTron T1 self-balancing scooter the best hoverboard on the market. It claimed to set the standard in safety and user experience. In this Swagtron T1 review, I hope to share my findings with you and to reveal if this really is still one of the best hoverboards on the market in 2019. This board is lighter than its predecessor the Swagway X1 (one of 2015’s most popular hoverboards) and weighs in at 22lbs (9.9kg). The unit measures 23 x 4 x 7 inches, and the manufacturer claims it can climb gradients of 30° with a turning radius of 0°. The bright LED lights make for better visibility ensuring pedestrians and drivers are more likely to notice you gliding along. The T1 consists of a durable and tough ABS outer body casing that is fire retardant and features aluminum wheels with rubber tires for more traction and less slipping. It can carry a maximum weight of 220lbs (100kg), and can reach a top speed of 8mph (a little slower than the Ninebot by Segway miniPRO that I reviewed previously). The UL 2271 certified lithium battery comes in the patented SentryShield chamber. This advanced chamber provides multi-layered protection in an airtight aluminum chamber and features the innovative Smart Battery Management System (BMS). The BMS keeps a close eye on overvoltage, overcharging, overcurrent, temperature increases and also provides short circuit protection. In short, it makes sure that your board doesn’t explode or catch fire. The upgraded motor paired with the gear stabilization makes for more control and provide better traction when gliding downhill and when travelling at higher speeds. The SentryShield battery takes roughly an hour to fully charge, and can power the board up to 12 miles. The range can vary quite a bit depending on the terrain, rider weight, temperature and your gliding style. Is This Self Balancing Scooter Safe? In a word, yes. At the time of writing this review, the Swagtron T1 is one of only a few hoverboards to have received the Underwriters Laboratories Hoverboard certification (UL 2272 certified). 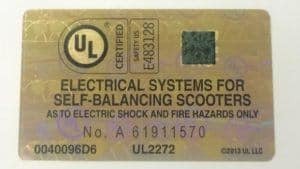 Scooters with this certification are the SAFEST on the market currently and are NOT a fire risk like previous models. I recommend that if you’re shopping around for a hoverboard to only buy one that is ul2272 certified. If you are unsure whether a certain hoverboard has passed this certification, look out for the holographic UL sticker on the bottom of the hoverboard. With plenty of reports of hoverboards exploding and catching fire because of sub-standard electrical wiring, Underwriter Laboratories (UL) decided it was time to create a standard. Their UL 2272 Hoverboard certification was established to give users peace of mind when using their self balancing scooter. This certification ensures that hoverboards have a drive train system, battery, and charger that passes strict testing. A number of tests are done as part of this certification, and these include overcharge tests, temperate tests, shock, crash and vibration tests, and a whole host of other tests that you can find on the Underwriter Laboratories website if you are so inclined. The T1’s battery system, named SentryShield, is also the first to be UL 2271 listed. This certification covers batteries for use in light electrical vehicles, such as hoverboards. The same battery system is also used in the SwagTron T3. These two certifications offer consumers peace of mind when it comes to the safety of the Swagtron T1. I doubt I would let my kids anywhere near a hoverboard that do not have these certifications. On top of these impressive certifications, the T1 has a number of other safety features. One feature I really like is what they call Safe Stop Technology. The smart people at SwagTron realized abruptly stopping on a hoverboard is one of the main causes of injuries. With this safety feature, the T1 will come to a smooth stop even when the battery runs out, drastically reducing the chance of you falling flat on your face. Check out this video of the unboxing of a Swagtron T1 self-balancing scooter – it’s just a short review but it shows the T1 up close in all its glory! SwagTron T1 Vs T3 – how are they different? While the Swagtron Swagboard Pro T1 and T3 self balancing scooter have many of the same features (the specifications are identical for the most part), the T3 can be considered the big brother. It has a few additional features and costs roughly 100 dollars more. SwagTron also describes the T3 as having more futuristic looks than the T1. The T3 also comes with Bluetooth speakers. My opinion is this feature will be very popular with the younger crowd. Personally, I have never been a big fan of forcing my choice of music on those around me. I cringe a little when I think of a cackle of teenagers gliding down a sidewalk each blaring a different Taylor Swift or Justin Bieber song. The feature that I think will be the biggest selling point when choosing between the Swagtron T1 vs T3, is the smartphone app. Rather what the app can do. And that is to unlock a third mode, aptly named Pro Mode. I definitely would not recommend using Pro Mode to anyone without extensive hoverboarding experience, as it removes all speed restrictions. I tried the T3 in this mode, and I managed to scare myself with the speed achieved. Learning mode is very useful for those new to using a self balancing scooter. I like the safety of this ul2272 certified hoverboard a lot. SwagTron had to go to great lengths to ensure the T1 passed both the UL 2272 and 2271 certifications. I also like the Safe Stop Technology and how it always brings the board to a smooth stop. The learning mode makes it a good option for kids or those starting out to learn to balance safely. 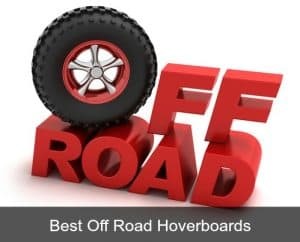 Overall this is a sturdy and well-designed product, and as far as hoverboards go, it is one of the most responsive and smoothest glides I have experienced. I think that in 2019 Swagtron have surpassed this model with their newer released models, and although this is still a popular board, it’s well worth checking out all they have to offer. For example this doesn’t have bluetooth speakers or mobile app, which come as standard in most new hoverboards these days. What Kind Of Warranty Does This Scooter Have? This self-balancing scooter is covered by a standard 1-year warranty. It covers the buyer from material or workmanship defects, as long as the hoverboard is considered to be used normally. This warranty is valid from the date of purchase, and can only be transferred to another user or if someone buys your certified hoverboard. If the manufacturer finds any defects in material or workmanship, they will replace or repair the damaged parts at no charge to you. They do state that the replacements parts can be either new or refurbished. The one thing that is quite clear in the warranty is that the manufacturer will not cover any damage from dangerous use. If you want to keep your warranty intact, make sure to not go riding over obstacles that might be considered unsafe use. 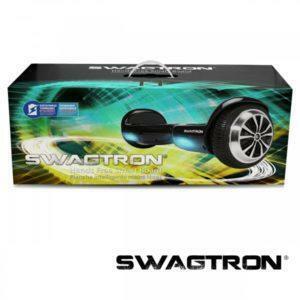 On top of the 1-year warranty, SwagTron customer service also offers a 30-day limited return policy. From the little I could find out about this policy, it looks like it only applies to new boards being returned. You will have to cover postage and packaging, and you might be subject to a restocking fee. The SwagTron T1 is a sturdy and well-built hoverboard with a couple of really nice safety features like Sentry Shield battery protection, non-slip footpads and more. Most important of these, are the two UL certifications that will give you the peace of mind that your hoverboard won’t explore or catch fire. 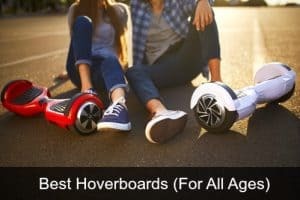 The general consensus is that the safety features alone make this a massive step up from the Swagway, and indeed most other hoverboards on the market. The Learning Mode makes it easy for those starting out with hoverboards. The Safe Stop Technology makes for smooth stopping, which will also help build the confidence of first-time gliders. All in all, the T1 makes a great choice for those new to the sport of hoverboarding. 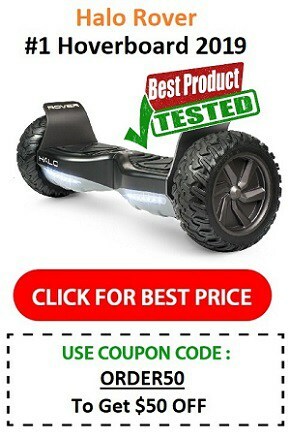 It is also a great option for those who have a limited budget but still want a safe and reliable hoverboard. The lithium ion battery life is pretty good and charging time is impressive. 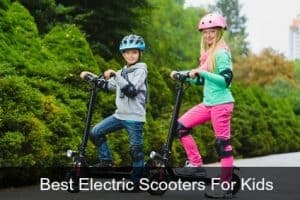 SwagTron has done a great job at making a product that is both easy and safe to use. The price is fairly reasonable too. My opinion, when it comes to hoverboards, the T1 is the one of the best affordable hoverboards available today. The T1 can also be purchased from Modells, Best Buy, BJ’s Wholesale and Ebay. If for some reason you are not a big fan of Amazon’s free shipping and other perks, you can also order this transporter from the official website. Customer service isn’t known to be the best from Swagtron themselves though so I’d probably recommend Amazon or one of the other sellers.